The hype of Pokemon Go’ had faded away a while ago but with the launch of this game Augmented Reality (AR) was known to the masses. After breaking a few revenue records, the technology today is gaining popularity in lots of industries including education, healthcare, entertainment, etc. AR successfully presents a whole new world of possibilities for businesses to offer the best buying experience to their valued clientele. Unfortunately, there is an unseen gap between one’s expectation and reality. In simple words, customers have a different belief about what the product should be and what they receive. This eventually leads to disappointment, inaccuracy, and painful experiences. So what you as a business owner needs to do is try incorporating AR technology to create lasting connections for future commerce. Now what actually happens is? What a customer wants and what the company can do are two often different stories. On one hand, buyers love customizing their products and options endlessly whereas salesperson often balks at this idea as they think customizing might mess up inventory and cycle time metrics. And this is the time where technology like Augmented Reality must come into play. A successful sales is said when it shows the added value in terms of a solution. The more complex, the more difficult it gets. Selling features may seem a little passé, it’s time to gain trust. The AR tech has the capability to personalize and add emotion to the B2B sales experience, demonstrating in real time to customers explaining how your product fits in their world. If they can see, they will surely believe! Try using AR to generate trust. With the help of advanced AR technology, one can position a product accurately. In fact, it may quite interest you to know that there are no more grey zones with AR, it’s What You See Is What You Get. Apart from this, complex measurements or colors will no longer slow down the sales process. As a result, the technology can save time, speed up decisions and increase closing rates of sales appointments in an efficient manner. Coming to B2B sales, AR offers an endless amount of possibilities. Ranging from showcasing additional or similar products to customer care services that indulge pretty quick in the minds of an end user. It’s all about assuring your consumers to get the right value for your pennies, with latest trends prevailing in this tech-gear. And such technology feeds their confidence in you as their trusted advisor. 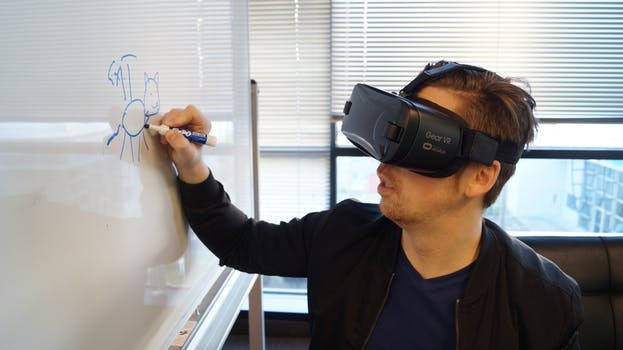 According to Gartner, Virtual and augmented reality are the closest to mainstream adoption of all emerging technologies. So what are you waiting for? Introducing AR technology in your sales approach will showcase your image as a company investing in premium customer experiences. Plus, there will be a strong possibility of establishing yourself as a premium brand. What if your customer gets to know what he or she will receive in real in advance? Chances of dissatisfaction may grow pretty slim. Augmented Reality helps in pre-insuring customer satisfaction leading to a severe reduction in returns and refunds and maximizing recurring businesses. The mature looking technology is all set for its widespread adoption all across the globe. Those who adopt will definitely gain a competitive advantage. So do not miss the boat; start implementing for better results.